Members of North Carolina bands The Rosebuds, Schooner and Pound of Miracles have just combined forces, as THE FLUTE FLIES, and released a little album for charity purposes. 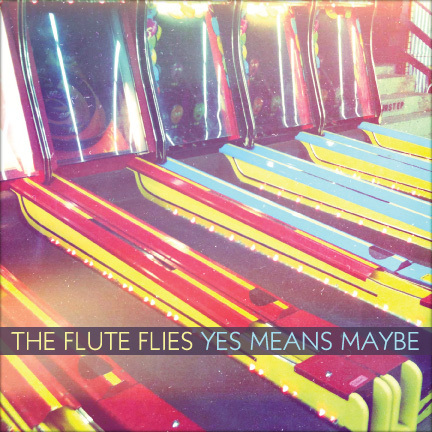 Their record, Yes Means Maybe, is out today, and can be listened to, then downloaded below. They are trying to raise awareness for www.CyTunes.org, which is dedicated to the memory of The Rosebuds old housemate and dear friend, Cy Rawls, who died after a battle with brain cancer in 2008. Yes Means Maybe is AVAILABLE NOW as a pay-what-you-want download below. 100% of the proceeds from the donations they receive for the record will go toward www.CyTunes.org and then donated to the TISCH BRAIN TUMOR CENTER at Duke University in Cy's honor. Do yourself and others a favor. Get it now.